BUSIA – A group of youth subscribing to the ruling National Resistance Movement (NRM) party in Busia District over the weekend held a demonstration in Busia Town accusing Busia Municipality MP Geoffrey Macho of misappropriating Shs27 million that was given to them by President Museveni. The protest, which comprised youth from across the entire district, paralysed business in Busia Town. The group then matched to the Office of the Deputy Resident District Commissioner (RDC), Mr Paul Kalikwani, where they submitted their petition. The youth told Mr Kalikwani that Mr Macho received the money from the State House Comptroller Lucy Nakyobe meant for the purchase of their milling plant on November 4, 2017, but he did not build the plant and that neither did he inform them about receiving the money. “Mr Macho received the money from the presidential private secretary, Ms Lucy Nakyobe without consulting us and has since said nothing about the money. This is an indication that the money has been misused but we are going to force him to produce it under all circumstances,” said Mr Edrine Ebenezer, the district NRM youth chairperson. The youth added that the President had promised to give them Shs280 million for the milling plant but the MP personalized the project. 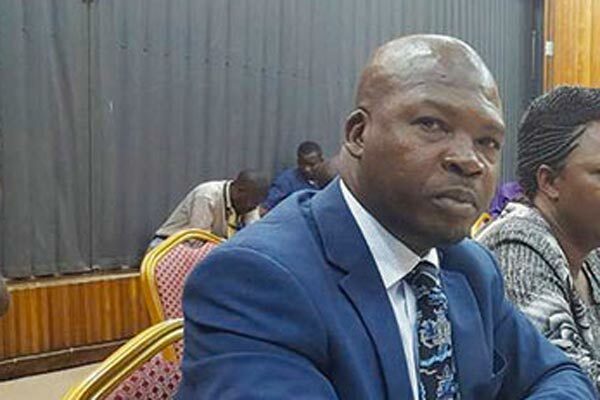 “The President himself promised to give us Shs280 million for the milling plant but the MP, on his own went ahead and presented lower quotations and received the money without our consent a year ago. He is not a right guy,” said Mr Ronald OKambo, the Busia district youth chairperson. Mr Okambo said Mr Macho should refund the money or else they will match to State House and report to the President. Some of the protesters also demanded for the arrest of MP, saying that would send a strong warning to other leaders who misuse money meant for development. The deputy RDC, Mr Kalikwani, urged the youth to stay calm and promised to follow up the matter until the money is refunded. When contacted, Mr Macho confirmed that he received the money from Ms Nakyobe but said he had given it to Mr John Oketcho, who is in charge of assembling the milling plant. “I did not want to give the youth the money because I feared they would just share it like it has been in previous cases,” he said.